We looked and saw him The Cat in the Hat! 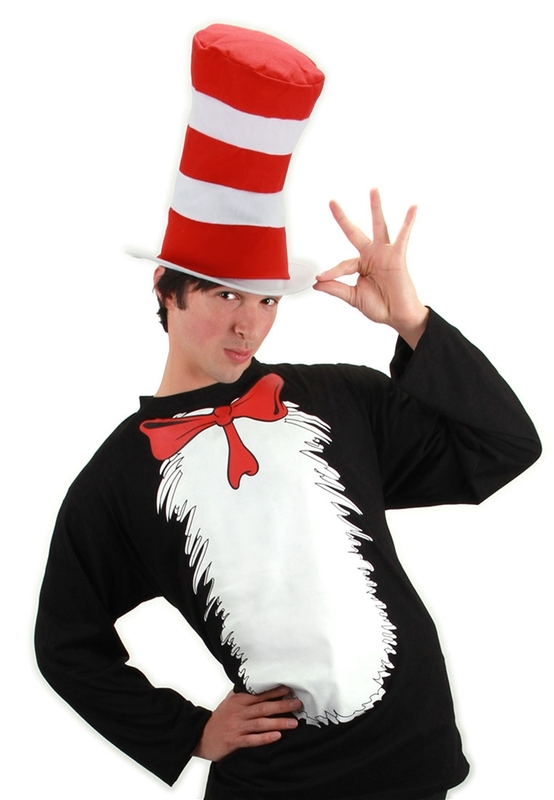 Be your favorite trickster in this Dr. Seuss Cat In The Hat Adult T-Shirt Costume! Turn any rainy day into a parade with this Cat in the Hat costume accessory kit from Dr. Seuss's classic! This costume includes both shirt with printed bow-tie and red and white hat.